Kimi Raikkonen's nickname "The Iceman" alludes to his cool temperament and frosty relationship with drivers and the media, and the Finn lived up to his reputation on Thursday when questioned over his future plans. 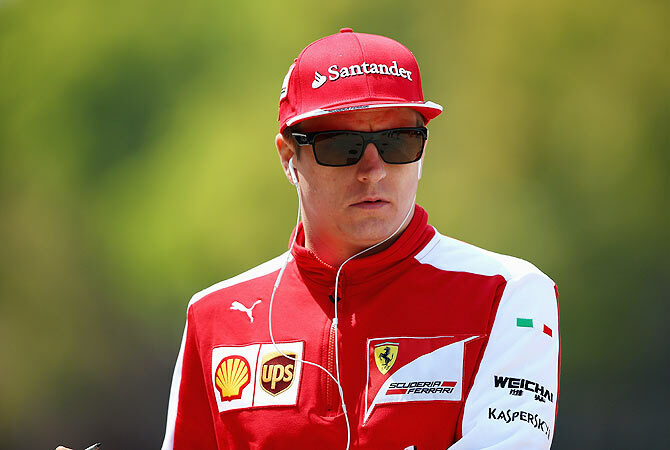 Addressing reporters ahead of this weekend's Singapore Grand Prix, Raikkonen snapped back at the first question he faced asking why he had opted to race for a team that has picked up just 19 points this season. "Why not!" he said, without elaborating. "Because I want to. Why do you try to make it so complicated? I don't know anything more than you guys, purely where they have been finishing," he added. "Obviously I don't know what will happen next year, nobody knows what will happen next year when it comes to the speeds of the cars and the teams and obviously we can always guess but we will see what we can do. "I have my reasons and that's enough for me. I don't really care what others think and as long as I'm happy with my own reasons, it's enough for me." The Finn's mood lightened when asked if he still had passion for Formula One, chuckling as he responded: "No, I don't actually. Just pure head games for you guys I happened to sign and I'm going to spend two years there just not being happy." "I can only drive one car, obviously. There's always a lot of talk, a lot of things which can be helpful, can not be," he said of his possible role in helping Vettel fight back from 30 points behind with seven rounds left. "It's always easy to say that this and this will happen but in theory it's so difficult to get it right in many ways so we will see what happens in the racing, if we're close to each other and this and that. "Obviously we know our rules; it's pretty simple."